All the District Educational Officers in the State are informed that, the Govt. 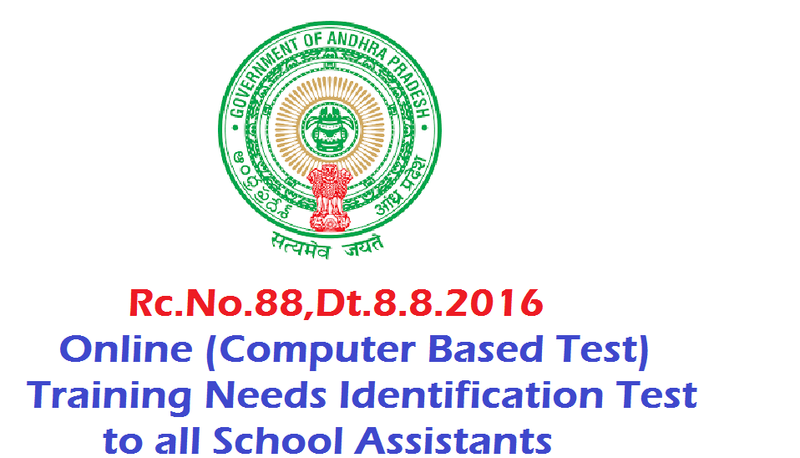 have decided to conduct online (Computer Based Test) Training Needs Identification Test (TNIT) to all School Assistants, of all subjects, of all managements, in the State. Vide reference 1st read above, Govt has issued a GO to undertake common summative examinations for all categories of schools in the state. During 2015-16, the Summative Assessment -Ill was commonly conducted for all Govt managed schools. The academic standard wise results indicate the need for ensuring appropriate training for the teachers to clarify gap areas so that they will be in a better position to support the students to achieve the expected levels of learning.